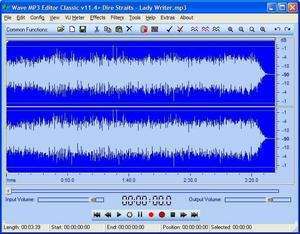 WAVster was an advanced audio editing suite which has now been replaced by a program called "KISS Audio Editor". It does many of the same functions that Wavster did, but has been updated to KISS. KISS Audio Editor is a freeware application which some pretty nifty editing tools bundled in. For security reasons, you should also check out the Wave MP3 Editor download at LO4D.com which includes virus and malware tests. Additional screenshots of this application download may be available, too.